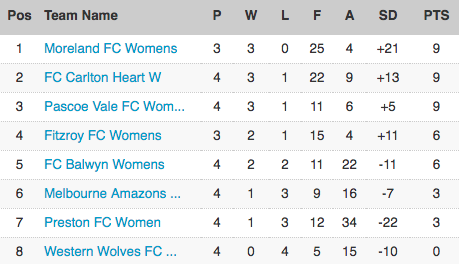 The first game of round four saw Balwyn face Melbourne Amazons with both sides coming off defeats they would both be looking to get back in the winners circle. Amazons would draw first blood with Alexia Nicolaou netting from close range. The Stars would hit back through Rachel West in a similar goal to the Amazons which ensured the scores were level at the half time break. Early in the second half Balwyn were ahead when Rachel West found the net for a second time as they looked the more settled of the two sides. 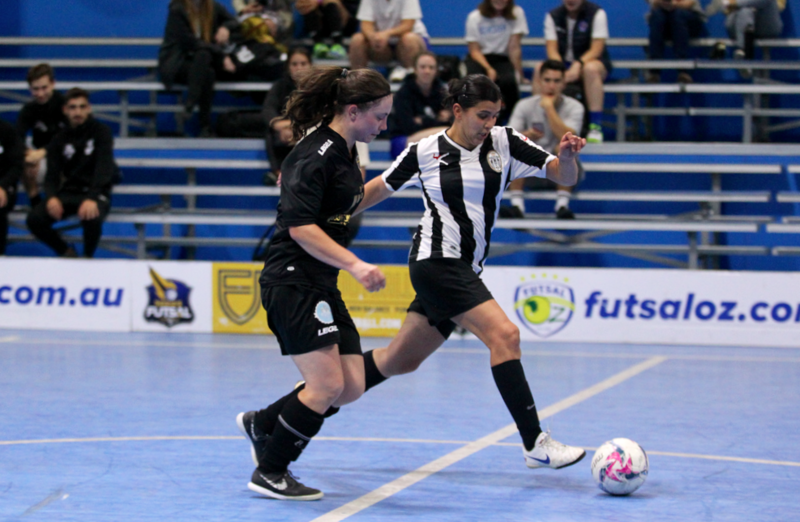 With six minutes remaining in the game Amazons would draw level again through Antigone Gymnopoulos who was the provider of the first goal. With time running out and a penalty shootout looming, Balwyn would find a winner with youngster Pyper Cohen stealing the ball off the last defender and finishing with a rocket of a shot to ensure Balwyn took home all three points in dramatic fashion. 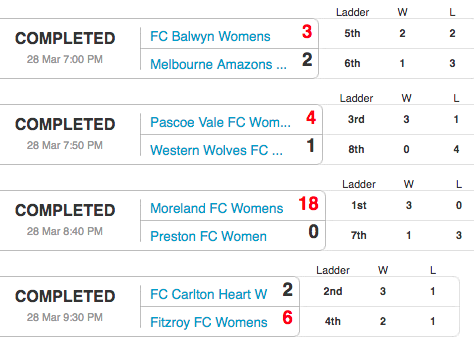 The second game of round four saw Pascoe Vale who looked to be title contenders taking on Wester Wolves who were playing their first game in the league as a club. The Wolves got off to the best possible start as Rachel Hurlimann opened the scoring giving Wolves the lead. Pascoe Vale would pull themselves back into the contest with Letizia Sammut finding the net before some more good work from Sammut saw her cut back tapped in by Marcela Marques to give the Lions a slender 2-1 half time lead. 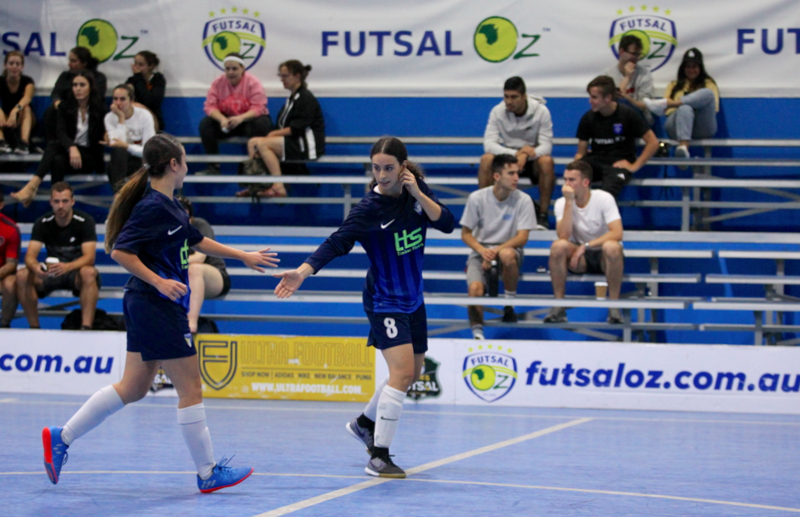 It took a lot longer in the second half for a goal to come but it did in the final eight minutes with Evangelia Parthimos finishing her one on one chance to make it 3-1 and all but seal the game. Another late goal from Leisl Woods put some polish on the result as Pascoe take home another vital three points. 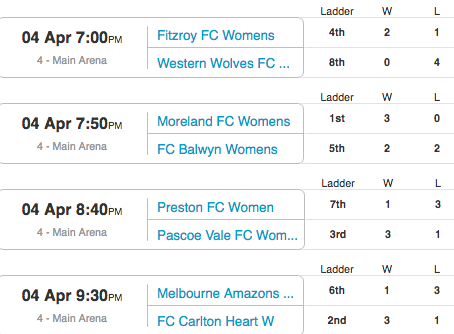 Next up we saw Moreland looking to maintain their 100% record as they faced off against Preston who were coming off a big win in round three. 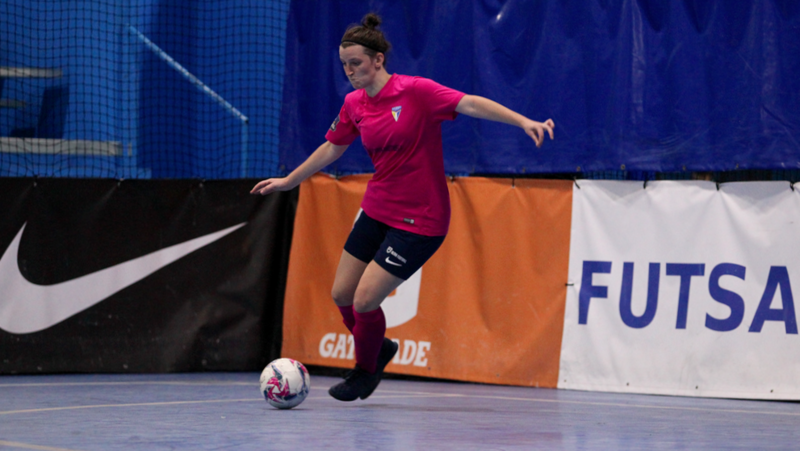 From the start it was all Moreland as they piled on six unanswered first half goals to lead 6-0 at the half time break being in complete control. 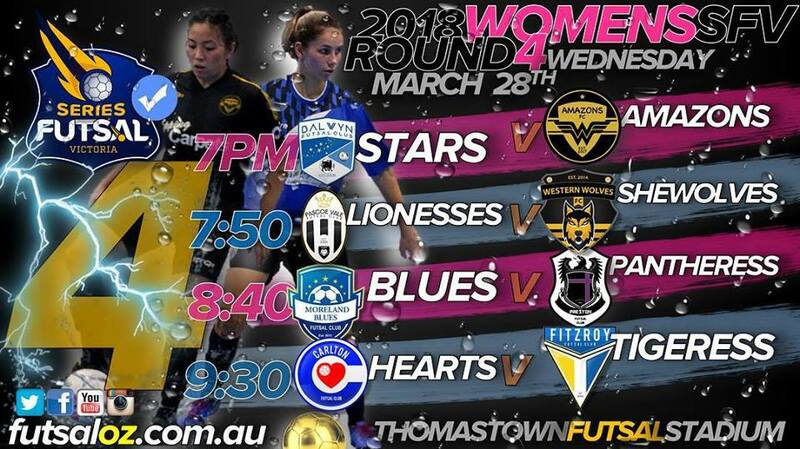 The second half only got better for Moreland and worse for Preston as the Blues added another twelve second half goals to their tally with no reply, Melissa Missailidis the star bagging six as well as hat tricks for Rebecca Saber and Jess Au rounding out a dominant win for Moreland and putting the rest of the league on notice. The final game of night saw undefeated Carlton take on Fitzroy. It was the Tigers who drew first blood with Ili Jakab pouncing on a mistake and finishing from distance for the opener. 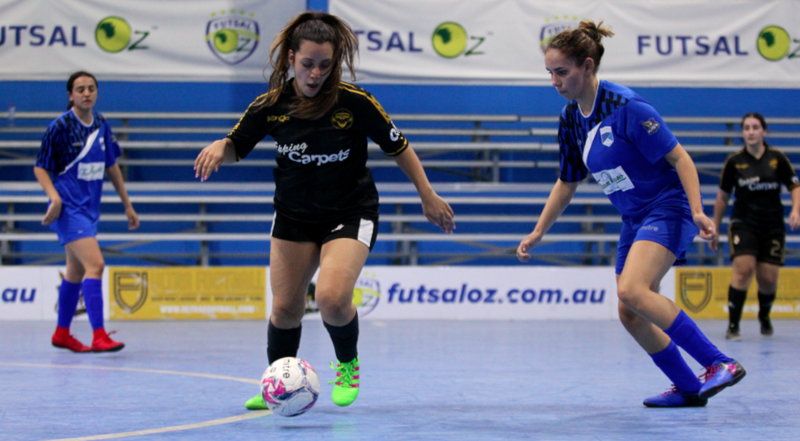 Carlton hit straight back with Katie Foster finding the net as the pair were on level terms. A bit of fortune saw a clearance deflect off Em Coppock to find the net and restore the Fitzroy lead. The Tigers went further ahead with Sarah Richardson toe poking home off the crossbar amid controversy the ball may have been out though it did not matter and it was 3-1. Soon after Sam Dowling pulled off a save only for the ball to fall to Romy Heasly who tapped home to give Fitzroy a 4-1 half time lead. Early in the second half Em Coppock dinked the ball over the keeper to make it 5-1 as the game looked to be blowing out. Carlton turned the tide of the contest as Foster grabbed her second of the game to give her side hope. It wasn’t to be though as Richardson’s buried the game with her first effort hitting the wall but the second finding the net to seal a comfortable 6-2 for Fitzroy.